Adjusting the motor speed to fulfil the varying free air delivery requirements is the most efficient operating method when the system has considerable fluctuations, limited air receiver capacity or when the compressor is operating as peak load compressor. 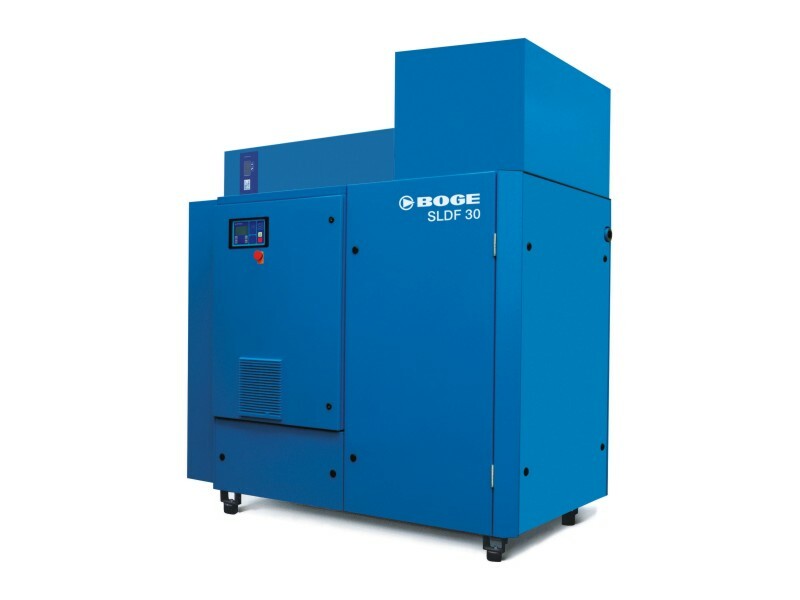 The BOGE SLF series combines a direct coupled drive system with frequency control to provide the ultimate compressor for pressure control under variable output requirements. In this direct coupled series the frequency convertor assures the smoothest possible transition from 25-100% to maintain pressure and output perfectly. An energy efficient FOCUS control is also a standard feature of the SLF series. The respective operating conditions are clearly and precisely visible via an LCD display. The SLF series operates the airend within its optimum range and by changing the speed of both motor and rotor the compressed air output adapts to the actual demand. Expensive idling times and motor switches are avoided. At the same time a tighter pressure band can be set, also helping to save energy. By adjusting the airend speed utilising frequency regulation not only adjusts the output (FAD) but can also adjust the pressure (bar). The SLF series compressors can therefore operate at 8, 10 or 13 bar pressures.